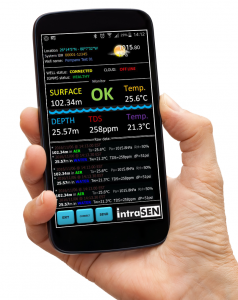 The IGMS app for intelligent system measuring groundwater level. App provides a step-by-step guide using pictures and voice instructions to prepare monitoring tool including transport, unpacking, field installation, data monitoring and troubleshooting. Even without pressing anything on the smartphone screen, the measured data gets securely and effectively stored in the smartphone and relayed to Intrasen-Cloud ensuring your hard work results never get lost.